Provides a secure, flexible method of printing checks on demand. Issuing checks and other negotiable documents presents a wide range of issues that, if not managed properly, can cost your company hundreds of thousands of dollars a year. IBM's Infoprint 1000 and 4000 printer families help you securely and efficiently manage your check issuance systems. Whether in a production or on-demand environment, IBM's MICR printers automate your check issuance and offer improved security, greater control and total flexibility. 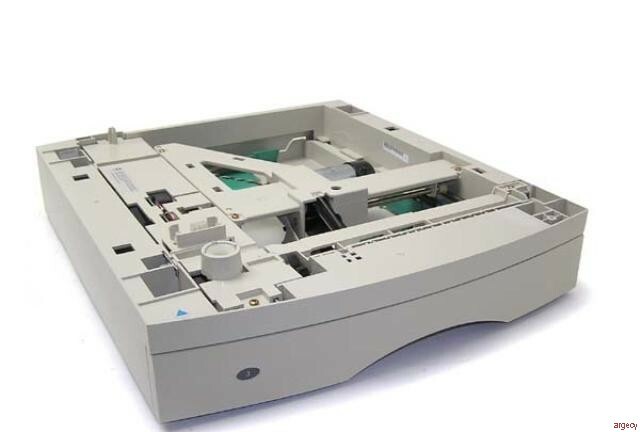 IBM MICR printers offer extensive hardware security features including MICR toner sensing, reprint suppression, jam recovery disable and tray locks. When combined with payment software, higher levels of security and control are available like print data encryption/decryption, IP address & electronic serial confirmation and bidirectional print verification. These features virtually eliminate official check fraud by offering the most secure check issuance system available today. With IBM's MICR printers you will gain full control over your critical business processes with enterprise-wide visibility of all disbursements. Configurable, real-time approval cycle & exception handling and complete audit trail & centralized reporting make these systems robust and easy-to-use. IBM engineers a wide range of printers specifically for printing MICR documents. Whether you require desktop, workgroup, light-production or production MICR printing, you will find a printer that is right for you. Whether you want to automate your check issuance system or upgrade your negotiable documents system, IBM Infoprint 1000 secure MICR printers can help make a critical difference in daily operations. Excessive manual processes, which are intended to reduce check issuance errors and control official check fraud, are costly and oftentimes ineffective. On-demand MICR check printing can streamline your issuance processes, saving your organization time and money, while also reducing or even eliminating official check fraud. In distributed locations, you can achieve secure, on-demand check printing with centralized control and management oversight High priorities for anyone issuing significant volumes of checks including staffing, hospitality, insurance, government and of course, banks and credit unions. To streamline check issuance as part of complex business process workflows, you can opt for MICR multi-function printers that consolidate functions including printing, scanning, copying and faxing. In cooperation with Source Technologies, IBM's exclusive MICR provider, IBM can help you equip your organization with comprehensive solutions that include reliable IBM Infoprint 1000 MICR printers with payment systems software that integrates with your enterprise systems to provide even higher levels of security and control. Whether you are looking to print locally, corporate-wide, or inter-enterprise, these solutions offer the most flexible and secure way to print checks on-demand. With an IBM Infoprint 1000 MICR solution you can replace costly pre-printed check stock and other forms with high-quality simplex or duplex printing that can include logos, bar codes and signatures. It will also enable you to reduce labor costs and fixed operating costs, while also dramatically reducing the likelihood of official check fraud. 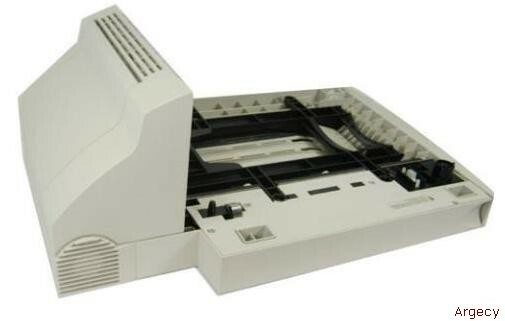 The IBM 4527 Infoprint 1332 Model 001 is a low-voltage base model with 32 MB of memory soldered onboard. 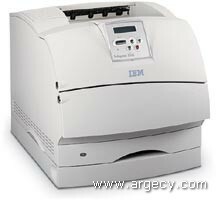 The IBM 4527 Infoprint 1332 Model N01 is a low-voltage network model. with 64 MB of memory soldered onboard. 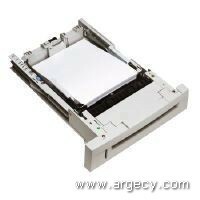 The IBM 4527 Infoprint 1332 Model 004 is a low-voltage base government model with 32 MB of memory soldered onboard. The IBM 4527 Infoprint 1332 Model N04 is a low-voltage network government model with 64 MB of memory soldered onboard. The Infoprint 1332 (35 PPM maximum Speed) provides a high-speed laser printer with the highest levels of reliability, flexible input, output, and finishing options, and a smart implementation of networking options that small to medium-size workgroups will appreciate. This printer is ideal for small, medium, and even large workgroups because of its speed, scalable input and output capacity, durability, and highly reliable printing. The IBM Infoprint 1332 is small enough to fit on a desktop but can also be adapted to floor-standing units with optional input options that can enable input capacities up to 3850 sheets. These 1332 printers also offer a wide range of output options, including stapling capabilities which can expand the printers' output capacity up to 2750 sheets on the Infoprint 1332. Infoprint 1332 PrinterThe Infoprint 1332 is a monochrome printer that supports up to A4/Letter-size media at up to 35 pages per minute (PPM). The printer comes in base models and network models. 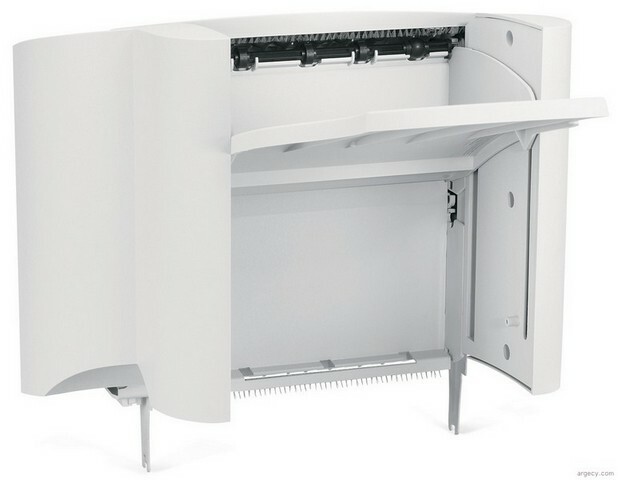 The base models come standard with 32 MB of memory, a 100-sheet auxiliary tray, and one 250-sheet drawer. 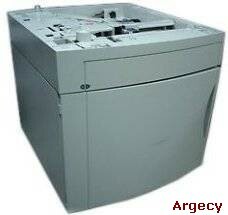 Standard input capacity is 350 sheets and standard output capacity is 250 sheets. Model 001 is the low-voltage model and 002 is the high-voltage model. The network models come standard with 64 MB of memory, a 100-sheet auxiliary tray, one 250-sheet drawer, and a 10/100BaseTX Fast Ethernet port. Standard input capacity is 350 sheets and standard output capacity is 250 sheets. Model n01 is the low-voltage model and n02 is the high-voltage model. All models have a maximum input capacity of 3,850 sheets and a maximum output capacity of 2,750 sheets. The Infoprint 1332 has special models for the U.S. government. 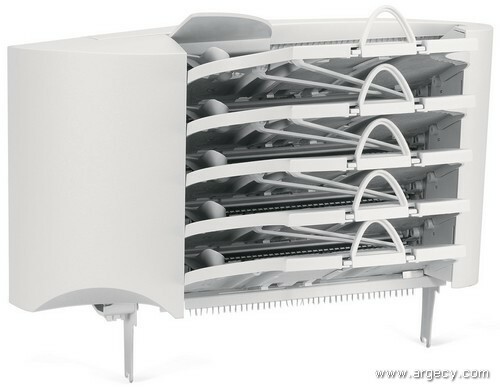 Model 004 is the base low-voltage model and 005 is the base high-voltage model. Model n04 is the network low-voltage model and n05 is the network high-voltage model. 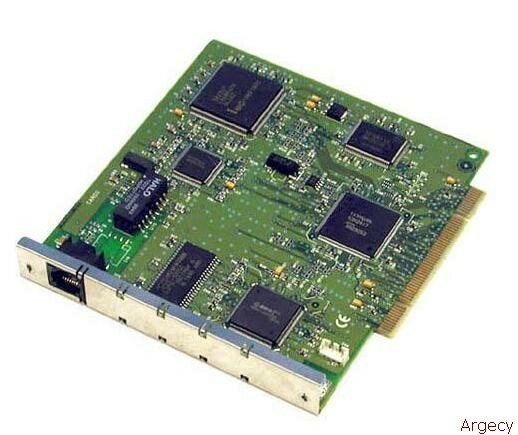 The Infoprint 1332 controller features a 300 MHz processor. It comes with PostScript 3 and PCL 6 emulation, PDF v1.2 and v1.3 as standard data streams and a PPDS migration tool. 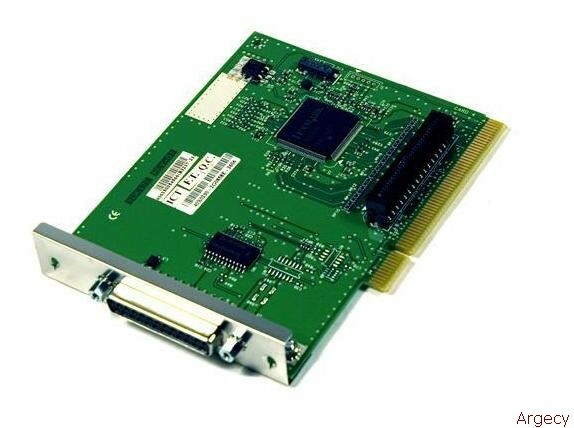 The controller has two slots for memory DIMMs, two slots for flash memory cards or application solution cards, and one slot for internal network adapters, local adapters, or hard drives. The base models come with 32 MB of memory soldered onboard and can support a maximum of 288 MB of memory with two 128 MB DIMMs installed. The network models come with 64 MB of memory soldered onboard and can support a maximum of 320 MB of memory with two 128 MB DIMMs installed. 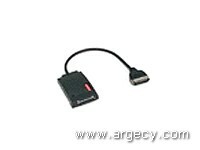 A 20+ GB hard disk with adapter feature is available. 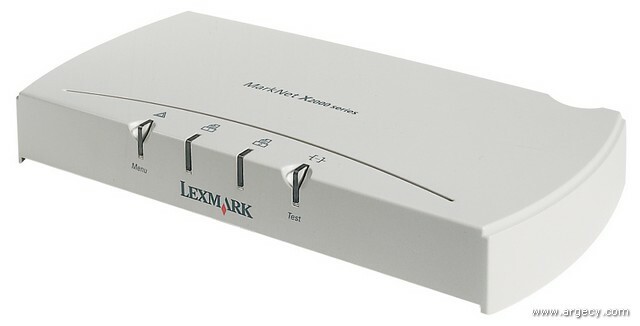 The network models come with a USB interface, and a 10/100BaseTX Fast Ethernet interface as standard. It does not have a Parallel interface. The standard Fast Ethernet interface does not take up the network adapter slot. Wireless Ethernet is supported through the wired Ethernet port on either the base model with the Ethernet option installed or the network models. The maximum monthly usage is 175,000 impressions. IBM does not recommend printing to the monthly maximum on a consistent basis. Tray 1                 <8.5 sec. <50 sec. The Infoprint 1332 printable area is limited to within 4.2 mm (0.167 in.) of top, bottom, left or right edges of the media. Any information placed outside this specified printable area will not print. All models come standard with one 250-sheet paper drawer and a 100-sheet auxiliary tray. One 250-sheet output bin is standard. See tables below for standard and maximum media capacities. Note: (4) 100% cotton content maximum weight is 24 lb. bond. 28 lb bond. bond envelopes are limited to 25% cotton content. Transparencies specifically designed for xerographic copy machines or laser printers may be used with the Infoprint 1332. Infoprint 1332 printers do not support "Manage IPDS Dialog". Infoprint 1332 complies with the global safety standard for Information Technology Equipment, i.e. IEC 60950, and its country equivalents in the markets we serve. The following sections highlight the approvals and certifications that Infoprint 1332 is expected to receive. Infoprint 1332 is compatible with applications running under the following operating systems for either local or network connections: For information about USB connections, see Local Connections. 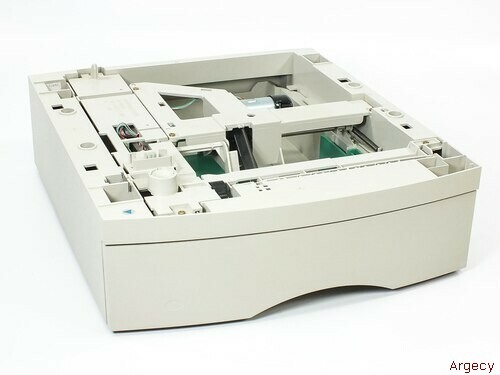 The software applications that operate with most Apple LaserWriter printers will generally operate with the Infoprint 1332. The Macintosh 128, 512, and 512e Computers are not supported. NetPnP senses when a new IBM printer is attached to the network and automatically creates a shared printer object on the Windows NT 4.0 or Windows 2000 system. Furthermore, NetPnP notifies end-users via e-mail that the new network printer is available for printing. Designed for Windows NT 4.0 and Windows 2000 environments, Net PnP makes the Infoprint 1332 printers available to end-users within seconds of network attachment. These printers are certified Solaris Ready by Sun and include Infoprint 1332 Enhanced Printer Drivers for Sun Systems and Sun specific documentation seamless installation and use in Sun Solaris environments. The IBM network printers are Ethernet-ready for use in Sun networks. NPRU will not support the Infoprint 1332. This utility will not support the Infoprint 1332. This option offers two-sided printing capability for the Infoprint 1332 printer. The Infoprint 1332 has two slots for memory DIMMs and two slots for flash memory cards and application solution cards. Only one flash memory card is allowed. 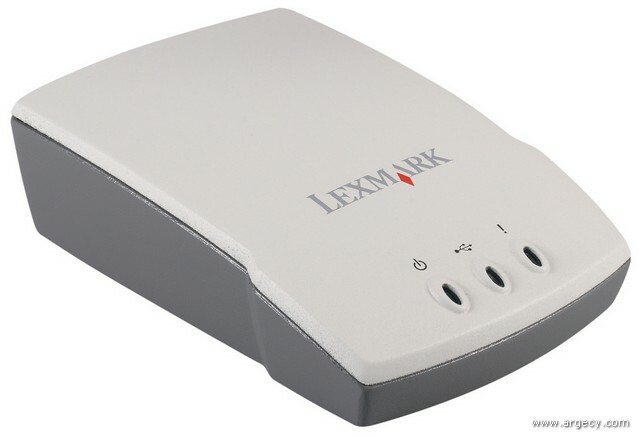 In addition to the standard USB port for all models and standard parallel port on the non-network models, each Infoprint 1332 model has one slot for an optional hard disk, optional internal print servers, or optional local connections. 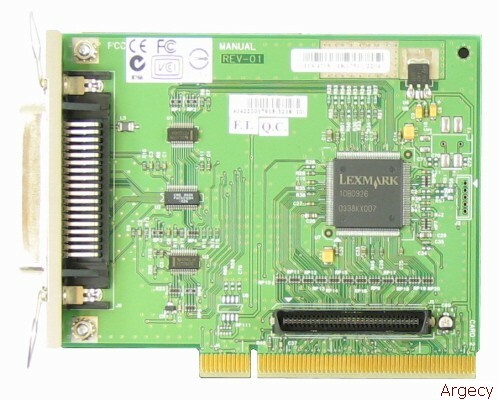 Network cards plug into the internal interface adapter slots (one slot for Infoprint 1332). Only one card is allowed per network protocol. That is, only one Ethernet and only one Token-Ring card. One Ethernet and one Token-Ring card are allowed. Any of the non base models have Ethernet onboard and cannot have a 10/100BaseTX card installed. 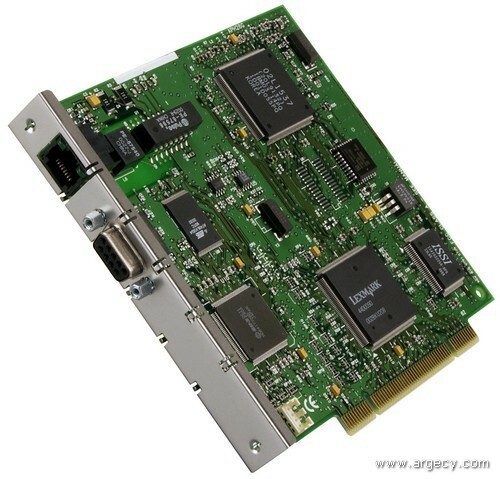 These models can have the 10Base/2 card installed but it will disable the onboard Ethernet. The MarkNet N2000 Series also supports and works in Infoprint 1332 printers. Optra Forms is supported by the Infoprint 1332 printer using the Optra Forms 2, 4, 8 and 16MB Flash DIMMs or Optra Forms Hard Disk. Optra Forms is supported on the Infoprint 1332 using a Optra Forms flash or Hard Disk. Only one Optra Forms flash DIMM is supported. For added security, confidential forms printing can be restricted to authorized personnel using the security features. This is a lock and key that attaches to the printer serial port. When the key is removed, the printer will still print but confidential forms will not. This feature is mutually exclusive with the 2-key security feature (#4878). The Coax/Twinax Adapter for SCS provides SCS (for Coax, DSC/DSE) data stream support with Infoprint 1332 printers for IBM mainframe and AS/400 customers who must print SCS over distributed SNA networks using a coaxial or twinaxial cable connected printer. These features plug into the two flash memory/application solutions slots. These font cards are mutually exclusive. The Bar Code Option Card enables the Infoprint 1332 laser printers to print a wide variety (over 47) of the most popular industry standard bar codes. The Bar Code card primarily generates bar codes algorithmically. The Bar Code Option Card emulates HP printers with an HP Barcodes&More Cartridge/ SIMM/DIMM or a JetCAPS (BarSIMM(/BarDIMM( (v.2.0b) installed for compatibility with existing bar code applications using HP/JetCAPS solutions. The ImageQuick Option Card enables the Infoprint 1332 laser printers to print PDF files, TIFF, GIF, JPEG, PNG, BMP, PCX, DCX, HTML files or URLs referencing PDF or HTML files directly to the printer quickly and easily without using a driver. The Drag'N'Print Utility is included and can be used to create URL bookmarks or to print these objects directly. This feature provides a cover for the operator panel. UNIX is a registered trademark in the United States and other countries licensed exclusively through X/Open Company Limited.� IBM Corporation 2006.